Make sure your website and content are the center of your online universe. Online linking and link building are essential search engine optimization strategies. If done correctly, link building can give your site higher rankings in search engines and bring in more qualified traffic. Incorrect link building can make your business disappear, as search engines may reduce your rankings or eliminate your site from their indexes completely.  Online linking and link building solutions from KEO Marketing will help your business rank higher and increase organic traffic. Link building, or link popularity, refers to the quantity and quality of incoming links that point to your website. The process of link building is one of the most difficult and tedious processes in search engine optimization. KEO Marketing’s content marketing and link attraction strategy will target links from highly ranked sites that have the same interest or focus as your business to drive qualified traffic and leads to your company. What Can Link Building Do For My Business? KEO Marketing, an experienced inbound marketing agency will develop and manage a strong and targeted link building program that will attract valuable incoming links to your site. We ensure that all of your pages are optimized for relevant keyword phrases and are well optimized for users and search engines. We then syndicate great content and engage with other sites who want to link to your content. These qualified incoming links will increase your page rank, making your website rank higher in organic search results. Ranking higher for key search terms in organic search results will bring more traffic to your site and grow your leads and sales.